The MasterKraft Dual Bicep/Tricep is a great machine for working the upper arm. The user-friendly design makes working out more simple, efficient, comfortable and satisfying. One machine that does the work of two. The MasterKraft Dual Motion Series is space saving and has been engineered for value! This semi-commercial rated series offers a compact footprint by using multi-function mechanisms and providing two exercises in one machine. The dual function designs offer the most popular exercises delivered in an 8 model package. This series is the best choice for light to medium commercial applications where floor space is limited. Accommodating: Iso-lateral movements accommodate single arm exercises, sound biomechanics offers smooth movement following your body. Compact: Space efficient design requires minimal floor space. Easy-to-use: Minimal adjustments and pre-stretch features allow for optimal exercise positions. Instructive: Simple, step-by-step instructions and training tips help users get the most out of their workout. Tubing: 40 x 80mm, electro-welded to maximum integrity. Finish: Electrostatic powder-coated and heat cured after adhesiveness enhancement pre-treatment for superior durability. Weight Plates: 25mm machined cast weight plates with fitted precision nylon bushings to ensure smooth operation on guide rods. Guide Rods: 25mm diameter steel shafts, polished with corrosion-resistant plating for smooth operation and rust prevention. 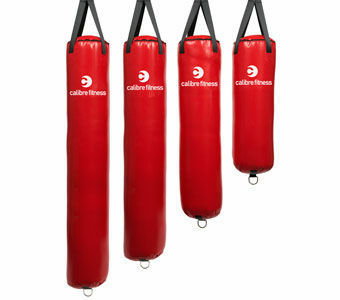 Weight Range: Low starting weight and full weight range accommodate a wide range of users. Weight stack can be easily reached from the seated position. Weight Selection Pin: Weight selection pin is yellow colour-coded for easy identification. Magnetic weight selection pin ensures positive locking to plates and is secured to weight stack. Cables: Aircraft specific 5mm American Loos cable with a 4, 200 lb breaking strength. End fittings tested to 250, 000 cycles using full weight stack. Handles: Slip resistant custom-moulded rubber grip assembly with machined alloy end-cap and retaining ring. Push grips are over-sized to 35mm diameter. Pull grips and handlebars are over-sized to 32mm diameter for optimal gripping. Starting Position Adjustment: Hardened spring-loaded snap-pin assembly with easy-to-grip pull handle for smooth position adjustment. Pull handle is yellow colour-coded for easy identification. Seat/Back Pad Adjustments: Custom-moulded sleeve-tube inserts in between inner and outer tubing ensures stable, low friction seat adjustments. Ratcheting seat adjustment with push-to-release lever is yellow colour-coded for easy identification. Viewing window and etched numbers on sleeve-tube for accurate positioning of seat and back pad. ABEC-rated bearings for added durability and smooth feel. Pillow block motor grade rotary bearings provided on machines with a cam assembly (Arm Curl, Leg Extension, Leg Curl, Abdominal, and Back Extension). Axles: 25mm solid steel pivot axles with oil-impregnated bronze bushings for precise alignment and frictionless movement. Fabric: Premium quality industrial vinyl with protective coating results in long-lasting easy-to-clean upholstery pads and rollers. Fabric meets or exceeds universal fire regulations. Construction: 4-piece design with 19mm thick plywood backing followed by 38mm thick foam core covered by industrial vinyl. Total thickness is 60mm. Weight stack tower top securely covers the pulley mechanism and include 2 accessory trays with bottle holders for both user and bystanders. Translucent high density hardened plastic shrouds enclosing the back of the weight stack.